President-elect should come clean about cigarettes. For a candidacy built on transparency and straightforward messaging, the Obama juggernaut is missing a wonderful opportunity to send direct aid and comfort to struggling addicts everywhere. All the president-elect has to do is admit that he is still struggling to quit smoking cigarettes. It doesn’t take a campaign genius to understand the reasoning during the primaries: Smoking, something now done behind closed doors, or while leaning against a dark wall out back, was not something Obama’s handlers were eager to have taken up as a topic of discussion with respect to their candidate. The U.K. Guardian maintains that certain opinion polls found Obama’s smoking to be a greater hindrance to his election than the color of his skin. While Nancy Reagan banned smoking in the White House years ago, the cigar-smoking Clinton seems to have gotten a pass, cigars in the popular culture being to cigarettes as the occasional brandy is to a six-pack. 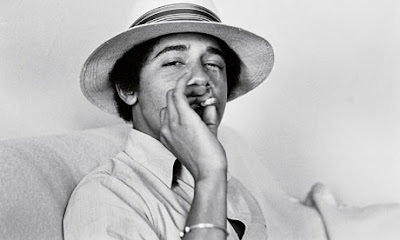 While the New York Times debates whether graphic warning labels only increase people’s desire to smoke, nobody seems to be asking whether a president who sneaks out to the Rose Garden to field-strip a Marlboro will serve as a role model or an enabler for fellow smokers. More to the point, President-Elect Obama is missing out on an opportunity to speak out on a major public health issue. By coming clean about his struggle to overcome his nicotine addiction, Obama would give renewed hope and courage to struggling smokers and ex-smokers everywhere. If Obama, the icon of cool, the Unruffled One, cannot make good on a promise to his wife to quit smoking, then quitting smoking must be one hell of an undertaking. Even the greatest geniuses our world has ever known have been drug addicts. All humans are more or less equally susceptible to addiction. All humans are equally susceptible to addiction? I have to disagree with that assertion. Some people have an innate propensity for addiction. Others--like people who smoke one or two cigarette a day or a week--seem to be protected from addiction.